This shake out bag sits Sanitiare models SC600 & SC800 Series shake out bag. This top metal piece with the spring will slide off the bag to allow you to shake the dirt out into the trash. No paper bags required. The bottom of the bag attaches to the vacuum with a swivel metal clip. This bags is manufactured by eVacuumStore. 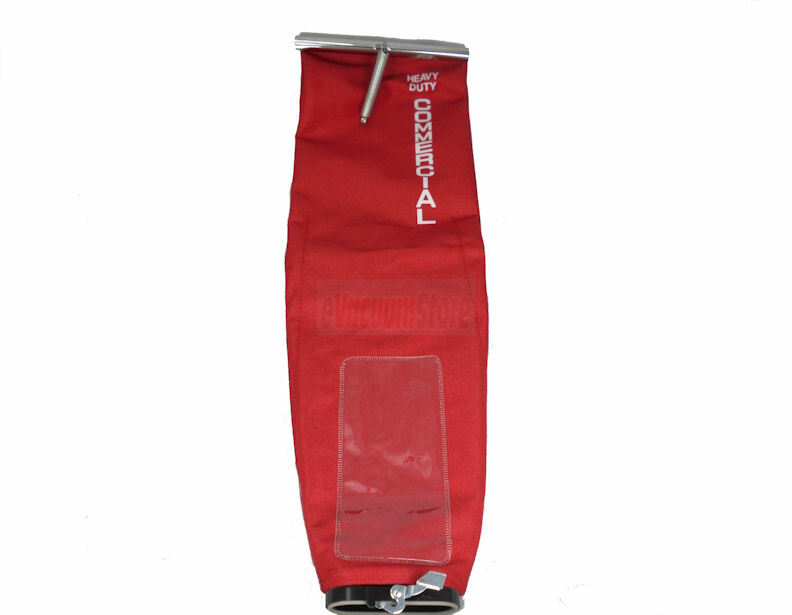 Replaces part numbers(s) : 24716C-16, 24716C-41, 54582-3, 53354-4, 53354-6, 53354-9, Envirocare Part# 450.
new shake out bags at awesome cost... thanks ! This shake out bag saves time and money. I have a commercial cleaning company and these bags not only save money, but you cant always find the paper bags of they get lost or whatever. they also same me time. The price for these bags are at least $10 more at all other stores. Was the perfect replacement bag for a Sanitaire vacuum we had that did not have a shake out bag. Now we do not have to buy vacuum bags! Answer:The shake bag has no inner bag, so all you do is remove the top clip and shake the dirt out over the trash.